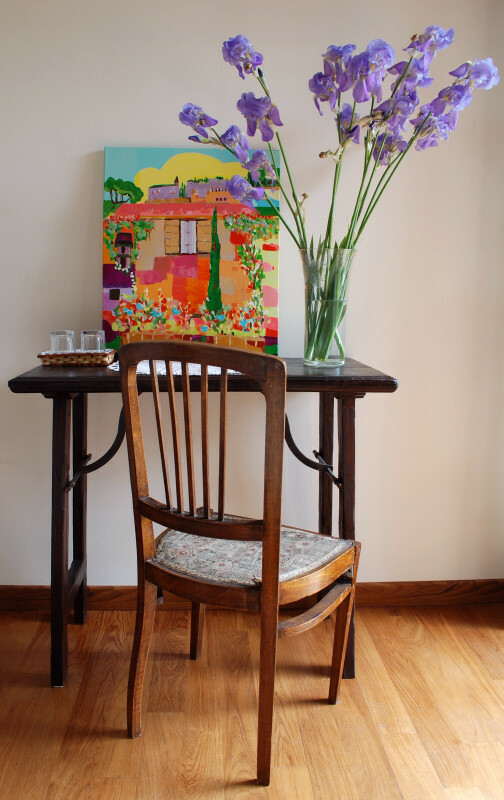 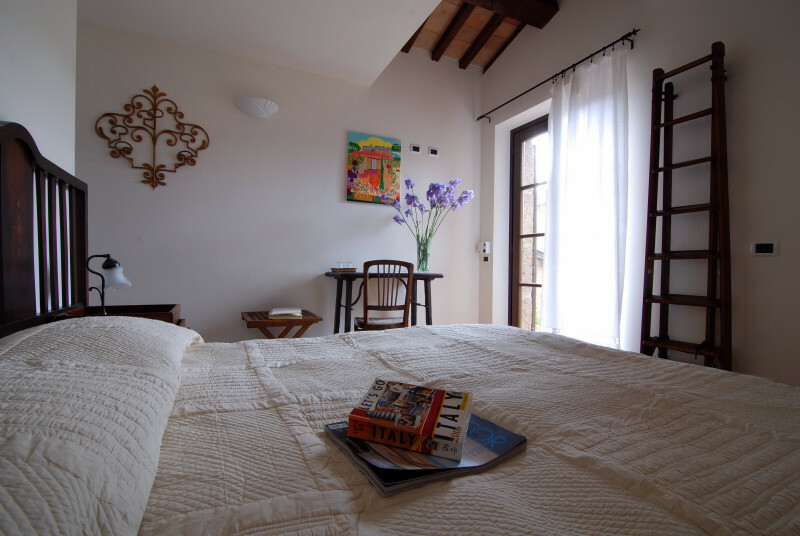 Bright and colourful, this room has its own terrace with a beautiful view over the garden and the Umbrian hills. 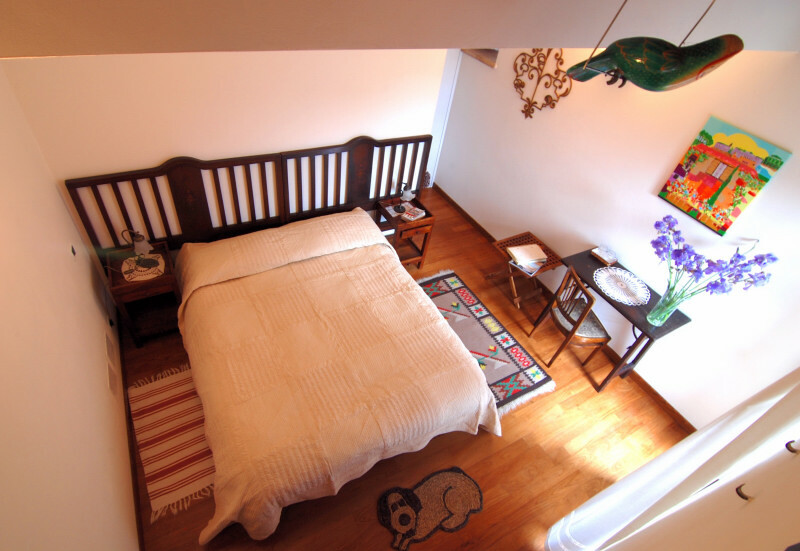 It has air conditioning, TV and Wi-Fi. 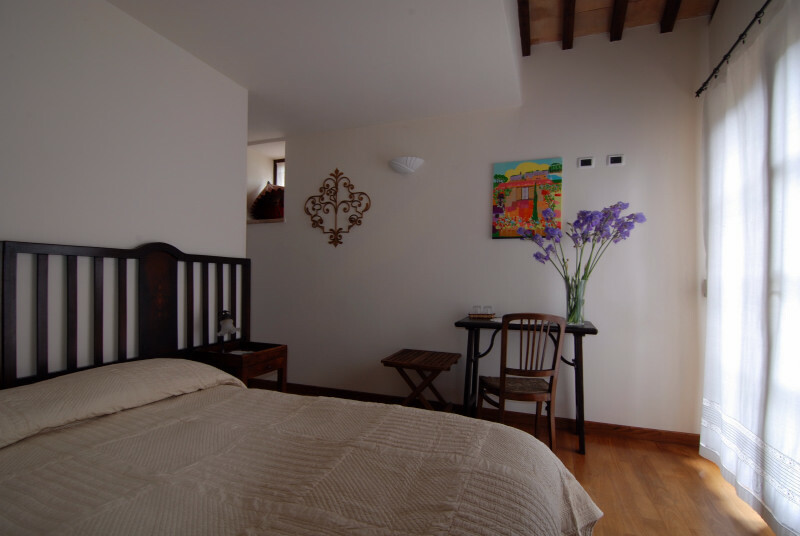 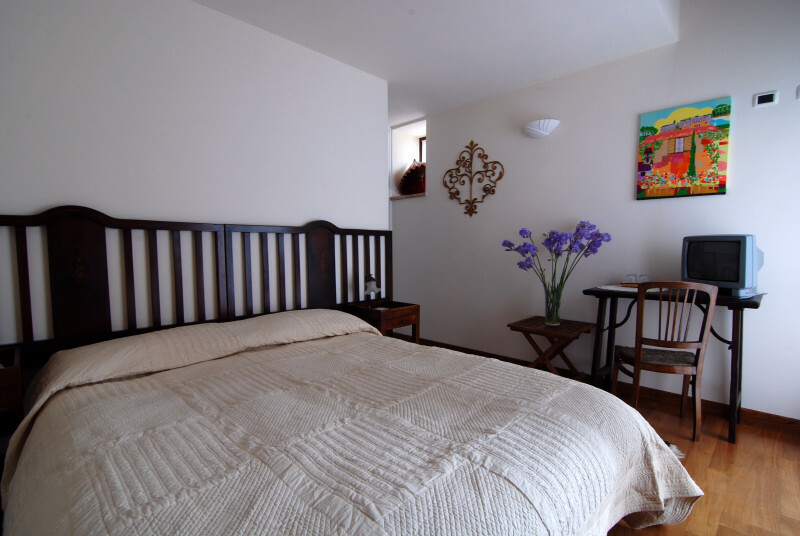 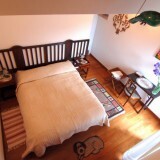 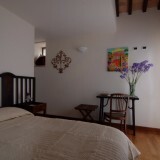 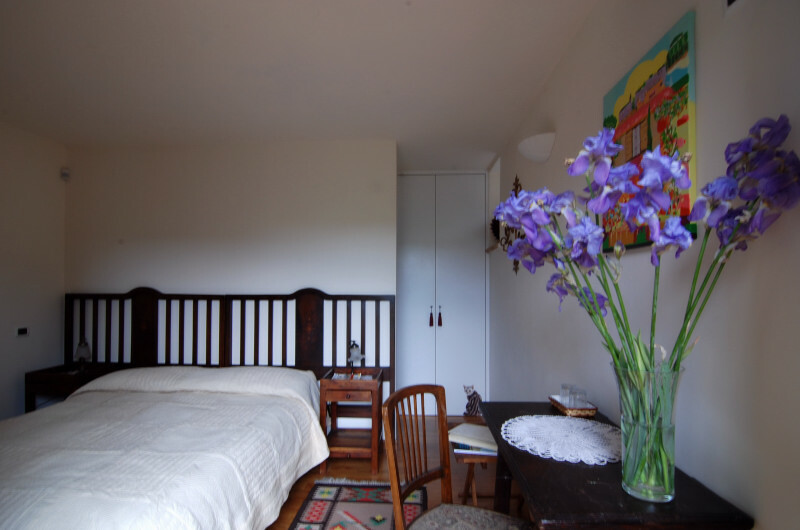 Matrimonial bed (or twin beds), independent access, bathroom with shower and hairdryer.